Stretch those sore muscles and relax at this free outdoor yoga class at the lush green Tamar Park. Feeling the mid-month stress? 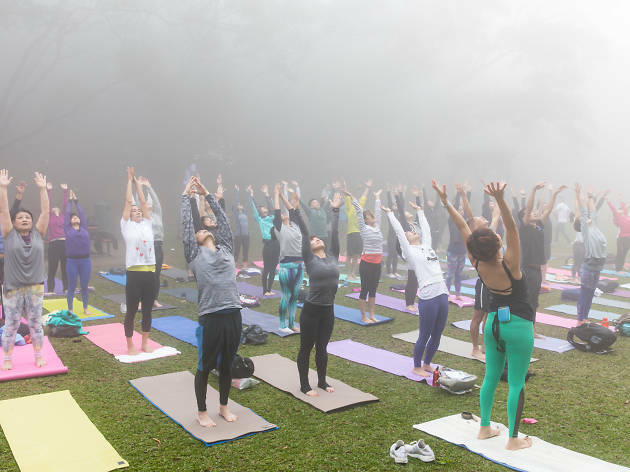 Join in this free outdoor yoga class as Pure Yoga hosts another outdoor community event at Tamar Park. Overlooking Victoria Harbour, breathe in the fresh air at this complimentary morning class and find your zen. The session is taught by Pure Yoga's Frankie Chan and is completely open to everyone, including non-members. 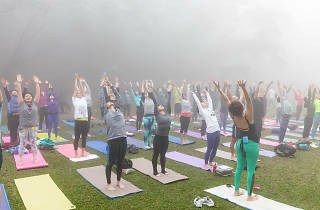 Also, keep an eye out for the #YogaForAll VW van bringing yoga equipment and goodies for the class. No registration is needed, just remember to bring a yoga mat, towel and plenty of water. Namaste.